High Performance Packaging and www.hp-packaging.com has Butler Automation SP1-2524-1.2 25.5"Auto Film Splicers in stock. High Performance Packaging hp-packaging.com has Butler Automation SP1-2524-1.2 25.5" Auto Film Splicers in stock. A Butler Auto Film Splicers allow you to run production without having downtime associated to film roll changes. This system is used by many brand name companies. If you want to stop losing production time due to roll changes this is the machine for you. Call us today. 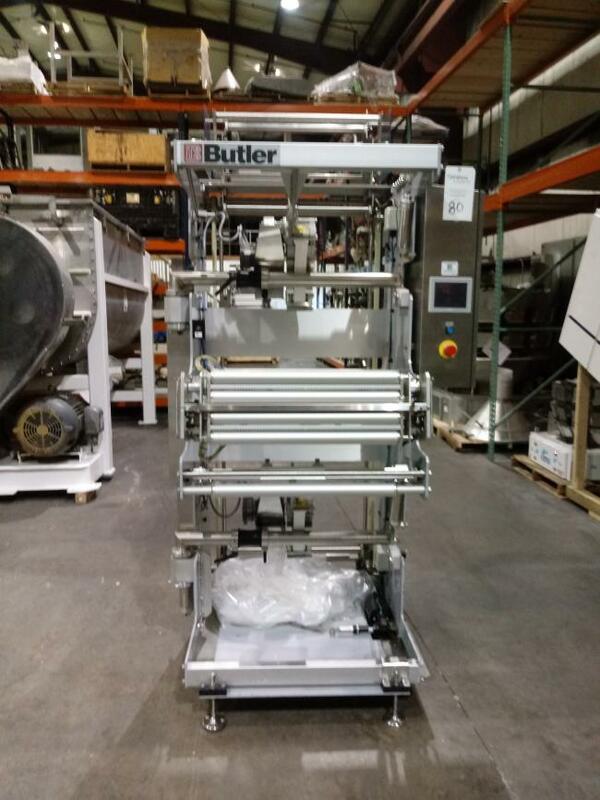 High Performance Packaging hp-packaging.com has Butler Automation SP1-2524-1.2 25.5" Auto Film Splicers in stock.